Spring brings with it the promise of exciting times ahead with thoughts of spending more time outdoors thanks to the warmer weather, long strolls in the parks amidst rows of blooming flowers and plenty of fresh produce in the local markets. Unfortunately, that beautiful floral display is accompanied by an abundance of pollen, which can trigger off seasonal allergies. For those who are prone to seasonal allergies, spending time outdoors can quickly turn into a painful experience as their symptoms flare up. Allergies are the result of an immune response gone overboard. Common allergens such as dust, pollen, and dust mites may not be harmful like pathogens but in the allergic individual, these substances produce an extreme immune response. Spring allergies, also known as hay fever, are triggered by the pollen. When pollen particles enter your body through your eyes, mouth or nose, your immune system kicks into high gear. Immune cells start producing protein particles called anti-bodies. These anti-bodies pick up the pollen particles and transport them over to white blood cells, which immediately release histamines. Histamines are a type of chemical. They trigger the distinctive allergy symptoms in an effort to expel the pollen from your body through your eyes, mouth and nose. These symptoms continue as long as pollen continues to enter the body, or until the pollen sensitivity subsides. From nonstop sneezing to itchy, watery eyes, inflamed skin and headaches, allergy symptoms are no fun. And for those who are severely allergic, the symptoms can be downright painful. Thankfully, there are natural ways you can relieve seasonal spring allergies. 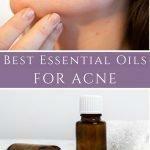 Hone is one of the best natural remedies for seasonal allergies. The key here is to consume raw honey, not the refined version that you find in the supermarket or health food store. The best place to find local, raw honey is at a local farmer’s market. Why raw honey? At first I too wondered why it was so important to consume raw honey as a natural way to relieve seasonal allergies. The answer is interesting. Pollen particles stick to honey bees’ legs and some of these get into the honey during the honey-making process. Raw honey that is not filtered and processed still contains some of these pollen particles in relatively low levels. Exposure to these low levels of pollen in the raw honey helps to lower your body’s sensitivity to pollen and thus reduces the frequency and severity of your symptoms. Honey does not only help you relieve your current allergy symptoms but it can also help build up your tolerance to those pesky spring allergies if you consume it regularly all year round. Take a tablespoon or two or raw honey once or twice a day every day to reduce your allergy symptoms. Start doing this at least a month or so before the allergy season starts. This is a slow process so don’t expect to see results overnight. It takes time for your body to get accustomed to pollen particles. Also, it does not work for everybody. Cautionary note – Raw honey should never be given to children under 1 year of age. Although rare, raw honey may contain botulism spores, which can lead to severe illness and even death in under one-year-olds. This is because their immune system is not yet sufficiently developed to handle botulism. If you have been reading about natural remedies, you have probably run across apple cider vinegar more than once. This seems to be a cure-all for everything from digestive issues to helping with heartburn. 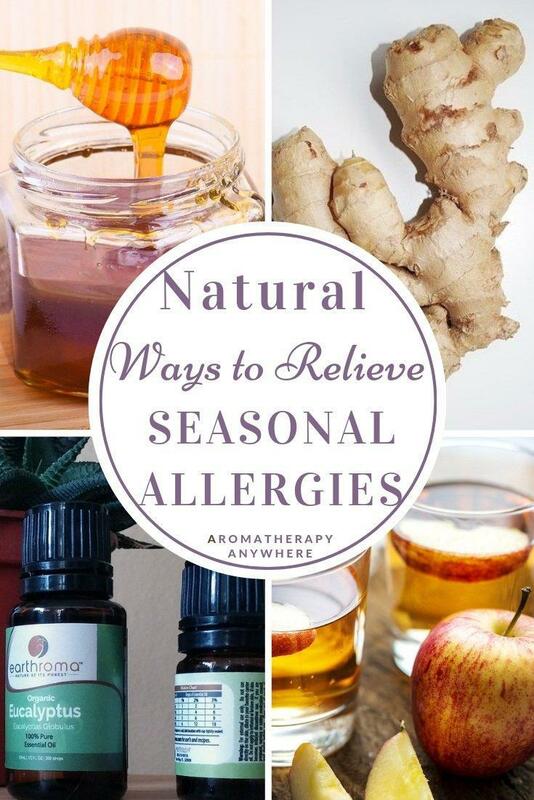 It is also one of the more effective natural ways to relieve seasonal allergies. Apple cider vinegar works by cleansing your lymphatic system and reducing mucus production, which helps to ease the coughing and sneezing that are symptomatic of spring allergies. To get relief from seasonal allergies, mix a teaspoon of organic, unfiltered apple cider vinegar in a glass of water and drink this three times a day. Always use organic, unfiltered ACV that still has the ‘Mother’ in it. The ‘Mother’ is what contains the beneficial bacteria that provide relief from seasonal allergies. Read the list of ingredients on the label before buying. If the list does not say The ‘Mother’ look for another brand that does. If you don’t like the taste of plain apple cider vinegar in water, stir in a teaspoon of raw honey before drinking it. Not only will raw honey improve the taste of the ACV solution but it also provides relief from seasonal allergies. 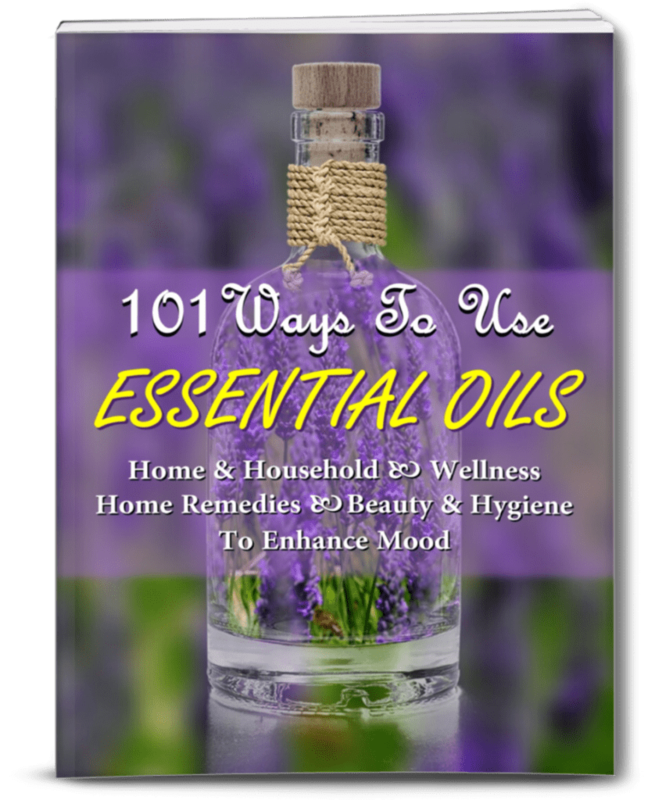 Essential oils for allergies can help reduce your allergy symptoms, easing your coughing, and sneezing, and soothing your headaches. These are the best essential oils for allergies. These oils have a fresh scent that is perfect for spring, just make sure you get the pure essential oils and not fragrance oils. A Neti Pot works to relieve seasonal allergies by flushing away those pollen particles from the nasal passages. To use a Neti Pot for allergies, dissolve 1 teaspoon of Himalayan salt or plain sea salt in ¼ liter boiled and distilled water. When the solution is completely cooled, put it in the Neti Pot. Tilt your head to one side, pour the solution into one nostril and let it drain out the other. As the water drains out, it will also flush out the pollen particles. If you’ve never used one before, read about how to use a neti pot. Your diet may also need to change when you start experiencing allergy symptoms. Follow an anti-inflammatory diet that consists of foods like broccoli, ginger, avocado, chia seeds, beetroot, pineapples, and nuts. You want to avoid foods that tend to cause extra inflammation and might worsen seasonal allergy symptoms, including dairy, fried foods, corn oil, and processed foods. Sticking to a diet mostly of clean and fresh ingredients will make a big difference in how you feel. Quercetin supplements are often suggested as a treatment for allergies. Quercetin works by slowing down inflammatory reactions, such as those found in allergic reactions. Garlic, onions, apples, and citrus fruits are rich in quercetin. These are also all healthy foods, which support argument for a healthy diet. A natural bioflavonoid, Quercetin works to relieve seasonal allergies by stabilizing mast cells. This inhibits the release of histamines, reducing allergy symptoms. It is also a powerful antioxidant and helps to reduce inflammatory reactions that are typical in allergic reactions. Garlic, onions, broccoli and citrus fruits are rich in quercetin. However, you would need to eat large amounts of these foods to get the amounts of quercetin necessary to prevent allergies. To get relief from seasonal allergies, you may need to take Quercetin supplements. Start taking Quercetin supplements at least 4 to 6 weeks before allergy season as it takes a while to get the effects. Ginkgo contains some substances that inhibit a chemical produced by the body during an allergic response: platelet-activating factor, or PAF. When your body produces PAF in response to an allergen, the PAF sets off a chain of events that lead to allergic symptoms and inflammation. Inhibiting the PAF means that the allergic response does not get to complete its cycle. It’s like breaking the link in a chain.